Spring is on the horizon and as the weather improves you will probably want to go out in your car and take in the fresh air. However, before you do, it’s a good idea to give your car a spring clean. Here are our tips to make sure your car is ready for action after the winter slog. Throughout the winter months your windscreen wipers will take a bit of a pounding from the rain, and in a bad winter even the snow, so it is a good idea to replace them once the winter is over especially with showers still around in the early spring. It isn’t just the wipers which can get a working out in the winter, your brakes do too. It may not be due to the amount they are used; more likely it is through corrosion from things like salt on the road. It is always a good idea to get your brakes checked out. You can do it yourself if you know how or if not take your car to a mechanic. When driving on the wet and filthy roads in winter, the undercarriage of your car is likely to get dirty from salt, mud and anything else on the roads. 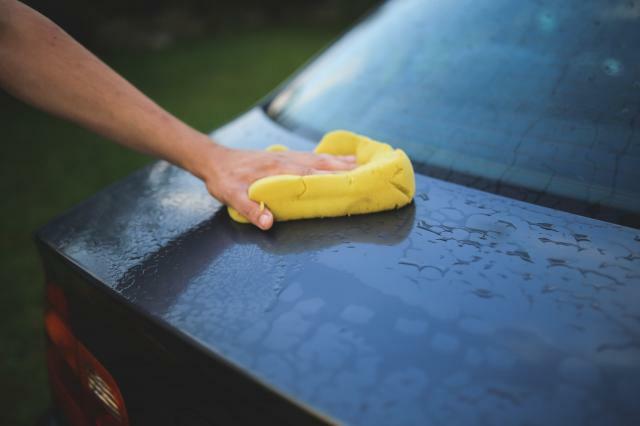 Give your car a thorough wash underneath to make sure it is completely clean. That may involve taking the car to a car wash but it is well worth it. Something that fluctuates with the temperature is tyre pressure so the difference in the winter and spring months can change the pressure of your tyres. Make sure you check the pressure of your tyres ahead of spring to ensure that you have the correct pressure ahead of any driving you may do. Want to start a new season with a fresh new car? Pop along to Spencers Car Sales or browse our used cars in our Norwich listings – online now.